The project consisted of the widening and reconstruction of SR 4/US 1, beginning just north of the I-16 ramps and extending northerly to SR 297, which is the beginning of the Swainsboro bypass, in a 9.8-mile section. 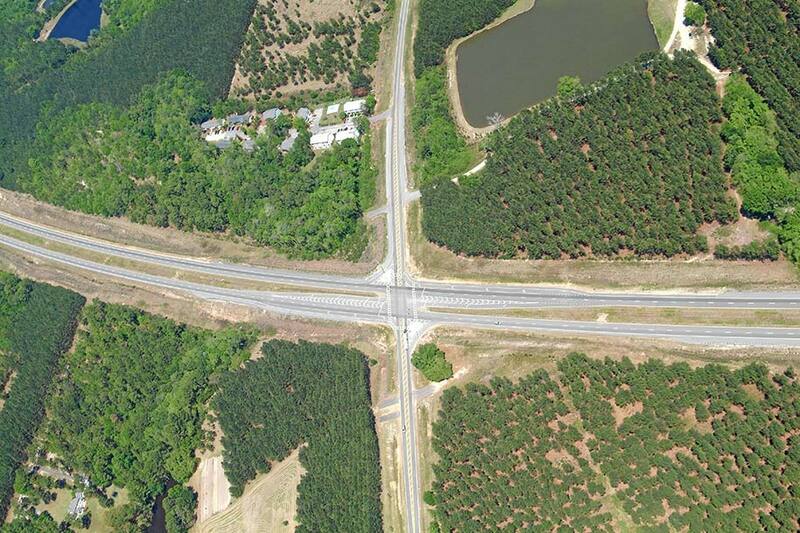 The existing 2-lane roadway was widened to a 4-lane roadway, with a 44-foot depressed median, and rural shoulders. During the design, some challenges such as minimizing the environmental effects, analyzing alternatives and new location routes and coordinating with adjacent projects needed to be resolved. The project was designed in accordance with GDOT Standards. Hussey Gay Bell provided conceptual layout alternates, field surveys, database preparation, preliminary plans, right-of-way plans, right-of-way staking, updating right-of-way plans, final construction plans and a final cost estimate for this project. Hussey Gay Bell’s design and survey assisted the widening and reconstruction of SR 4/US 1, in a 9.8-mile section – a project that spanned nearly 15 years from concept to completion.